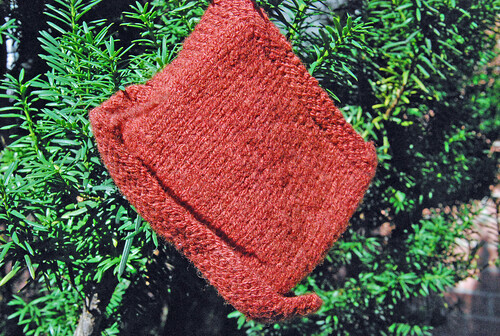 Finished in no time flat back in February was this first of the knits for my baby nephew. 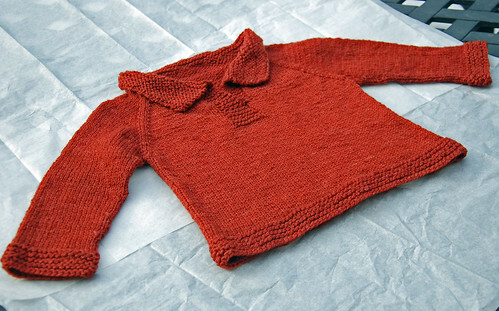 The design is Telemark Pullover 2.0 by Erika Flory in natural wool. 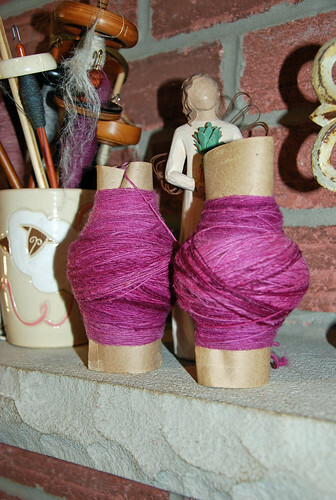 I substituted this lighter Sheepspot’s Clun Forest sport-weight yarn with glee. As Sasha’s newsletter told us she sourced the fleeces from a single flock, Ferme Luciole, in Alfred, Ontario last June. 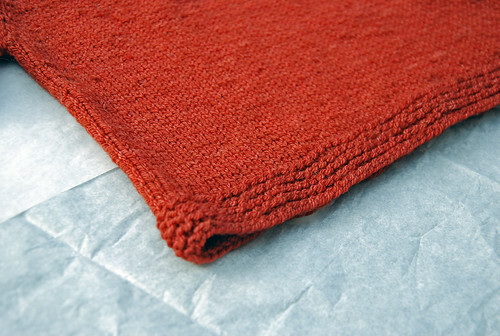 The wool is springy but has such a crisp look in the Paprika colour and this simple sweater. I was 2 stitches under the recommended pattern gauge. At the 20 stitches per 4″ in stockinette stitch using 3.25 mm needles, I cast-on for the 1 year size, and fell between a 3 – 6 months size. 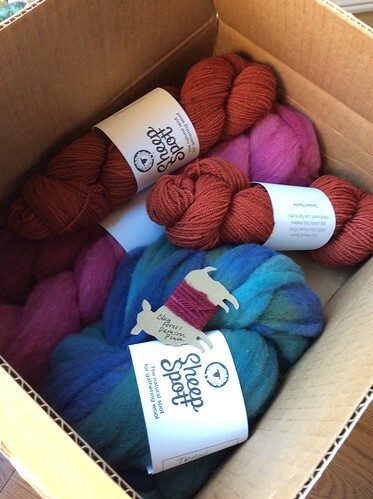 Sheepspot has processed their wool with a lighter chemical touch – none used to dissolve vegetable matter or to treat the fibre. Early in the 19th century, Southdown rams were introduced into the region that includes both the Clun Forest area and the heathlands to the east, and by 1840 there had emerged a distinctive new type of sheep that was general to the region, and is ancestral to both the Clun Forest and the Shropshire. As you will see in a later post, the word “Southdown” rings a bell for me! A little knowledge being a dangerous thing, I have experimented on the swatch. Before going through the front-load washer & dryer cycle it was 6.5″w x 5.75″ h. It’s now all nice round numbers. The approximate change is 8% less width & 13% less height. It is ‘fulled’ & has a softer hand after washing. Not bad! Not bad at all. 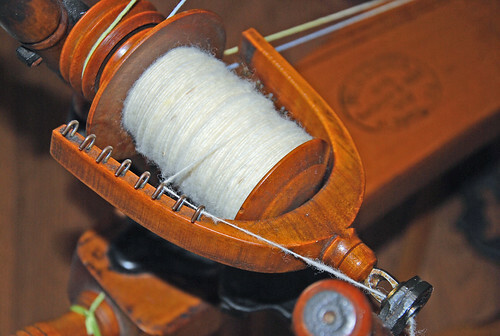 50% is reported for a Corriedale sample in the Winter 2015 Spin-Off magazine by Cindy Craft, p. 46. I wish more numbers were given from her 6-breed experiment in the article. If you would like to see the project notes on Ravelry it is called “That Seventies Telemark.” Whatever its laundering future, this is a hardy sweater made in Ontario for baby F’s first cold weather days. 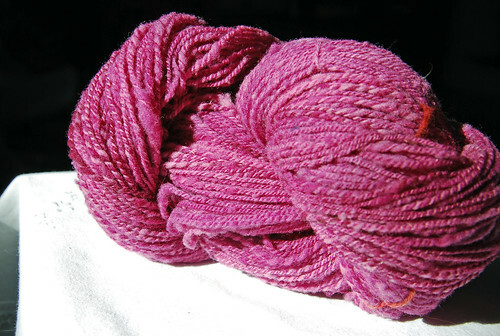 Categories: Finished & in the wide world | Tags: Baby gift, Clun Forest wool, knitting, Ravelry, swatch | Permalink.